…’Tis not in forest, nor yet in dell. If you’re a sports fan that only becomes intensified as you remember the wins,4 the losses,5 the tailgates, and different versions of every emotion that you’ve spent in your life. Every football, basketball, baseball, and volleyball game gives you the chance to transport back to that time, even if it’s just for a few hours. And that’s what brings us together. For 3 hours we may disagree on what play should be run,6 whether we should be in a man or a zone, or how long the pitcher should stay in. Some want the traditional football uniforms7 and others love the grey new style of basketball uniforms.8 And you can’t do it without carrying a passion for everything that a place like Kansas State University means to you. And while we may passionately disagree, we’re all wearing purple. K! S! U! We’ll carry the banner high. But we still wear purple. K! S! U! Long, long may the colors fly. There’s a small, but extremely vocal minority of fans who have chosen to take a very dark side. They want to win at all costs. They want to thumb their nose at the rules, invent crazy conspiracy theories, and harass anyone who thinks any different. They believe they’re the only true fans, and they’re determined to make sure that everyone knows. Rationality and ethics mean nothing. Only the conclusions that they’ve arrived at long before any information could be addressed. But they’re small. As small in size as in decency. It’s a dark time, indeed. But it doesn’t have to be. The rest of K-State can move forward. The rest of us can see that K-State doesn’t revolve around one man, but instead everyone that wears purple from the freshman in the dorms to the players on the field. From the professors in the classrooms to the coaches on the sidelines. From the administration in Anderson Hall to the alumni around the world. And we all wear purple. Hail! Hail! Hail! Alma mater. We all know what time of year it is. 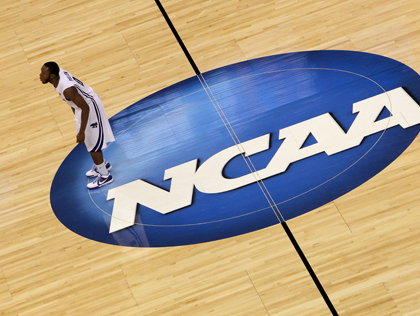 Bracket time is back. I don’t care what all you Christmas, summer, or other time of year lovers say, starting this week we’re in the most wonderful time of the year. It’s March, baby! So my yearly bracket contest is back. As always it’s just for fun, no money involved, but the winner will get a prize direct from the Final Four in New Orleans. It’s never a great prize, but it’s something you can’t get anywhere else. Well, except maybe on Ebay. So here goes, all you have to do is click here to sign up. Also, this year, for the first time, I’m doing a women’s one. I’m not going to be at the Women’s Final Four, so no prize, but if you’re feeling adventerous, give it a shot as well. You can enter it by clicking here. 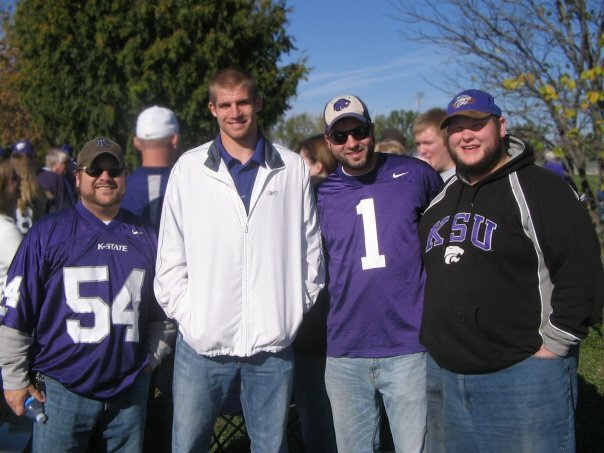 If you’re reading this you probably know that I’m the co-host of The Salute, a fan podcast1 about K-State sports2 on CollegeSportsVision.com. We don’t do it for money, or really any other reason than to amuse ourselves, but Cory and I thought we could try and do it for something just a bit more, at least this once… so we’ve decided to try to organize some support for The Global Orphan Project. What we’d like to do is ask you to come along side us in pledging $1 per rebound3 during the K-State vs. KU game on this Monday, February 13th. 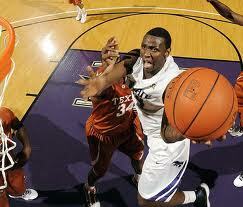 As of today K-State is averaging 38.7 rebounds a game, so a buck a board would come out to about $40. If that’s too much to do, then consider pledging $1 per offensive rebound. That’ll likely be about $15. But if you’re a KU fan, we want you to be able to join in as well. When you pledge you’ll be able to select to go by KU’s rebounds as well. The point isn’t who you’re rooting for, but the difference it can make. If you have some other amount that you want to pledge, there’s a spot for “other” and you can fill in whatever you want. Everything will help. Make your pledge now by clicking here. The day after the game you’ll get an email reminding you of your pledge amount and a link to TheGlobalOrphanProject.org . Head to The Global Orphan Project’s website to make your payment by credit or debit card, or mail the donation to their organization. Mike & Cory will never touch your money. That’s it. Oh… and one more thing: Our sponsor, Tallgrass Brewing Company,4 has agreed to donate a prize pack for one lucky winner. We’ll randomly5 draw the name of one person who pledges and they’ll send you some awesome Tallgrass swag6. As if helping change the world wasn’t awesome enough. 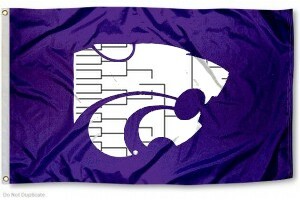 So thanks for taking part, and K-State fans7… we salute you! Back in December K-State played West Virginia and the big conversation was whether or not Bob Huggins should have been cheered or booed. There were plenty of great points on both sides. Those who cheered pointed out that Huggins gave the Cats the jump start they needed to be a top 25 type program again. 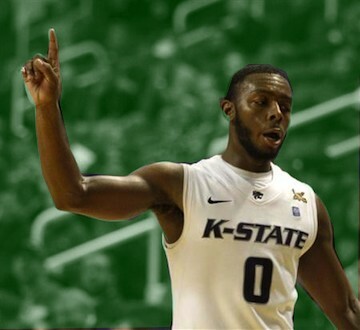 Those who booed pointed out that he’s not generally thought of as someone of high character, and that after being given his second chance at K-State he left after only 1 season in the Little Apple. All the hype was there for the match-up, and when it came time the cheers far out numbered the boos, even if I didn’t agree with it at the time1. But Huggins isn’t the only former coach we’ll be facing this season. There’s no need to point out that I’m referring to Lon Kruger. Every K-State fan should know that not only is his number 12 hanging in the rafters as a player, but that he spent 4 years at Kansas State as the head coach who followed the legend, Jack Hartman. I, like many who will read this, wasn’t around for Kruger’s time at K-State2, so it’s time for just a bit of a refresher. 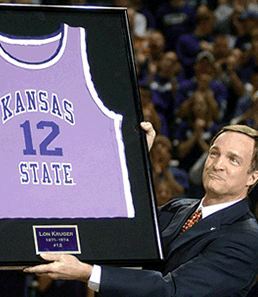 Lon Kruger was a true home state Kansan. He grew up just down the road from Manhattan in Silver Lake, Kansas and went on to a great career at K-State including 3 letters, 2 Big 8 player of the year awards, and 1,063 points. There’s a reason that his number 12 hangs in the rafters in the Octagon. But as good as he was as a player, his numbers as a coach are even more impressive. Kruger spent 4 seasons at Kansas State as the head coach and is still the only coach to take the Wildcats to 4 straight NCAA tournaments3, including an Elite 8 run in 19884. He also was the first coach at K-State to lead the team to a 20 win season in his first year5. So sure, Lon left after 4 years to head to Florida. And sure, Lon, after stops at Illinois, the Atlanta Hawks6, and UNLV he came back his home conference7, to face off against his alma mater. But there hasn’t been any serious questioning as to whether or not we should cheer Lon on Saturday when his Oklahoma Sooners come to the Little Apple. Boo his team all you want, but when they announce, “Coaching for the Oklahoma Sooners, Lon Kruger,” even if just for this first trip back, let’s make certain we blow the roof off of the place.